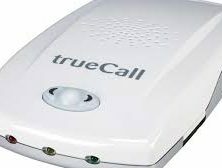 TrapCall is a service that helps you to deal with annoying blocked calls, “No Caller ID” and calls from an unknown source. It is an effective solution to get rid of unwanted calls and enhance your privacy and safety. If you are constantly being harassed by unidentified calls, TrapCall is a great way to tackle the issue since it allows you to find out who is calling, even if they are trying to hide behind Blocked, Unknown and “No Caller ID calls”. The app is available for Android and iOS and it is useful when you are experiencing an increased number of anonymous calls. With TrapCall, you will be able to unmask stalkers and gather evidence if you need to contact the police. There are different paid packages available and in order to get access to features like call recording, a subscription to the most advanced plan is required. TrapCall is a very powerful solution to deal with unwanted calls and it stands apart thanks to the fact that it can unmask unidentified callers. However, if you are looking for other options that help you to find out who is calling you and to block unwanted calls, the below alternatives to TrapCall are worth considering. TrueCaller is an effective solution to find out the identity of the people who call you. You can look up the number if you don’t recognize it. Their database features billions of phone numbers so you can easily identify spam calls and block them. You can also make calls without leaving the app and connect with friends and family easily. If you are tired of being targeted by spam calls and don’t want to deal with calls that are not from your contacts, you can rely on Calls Blacklist PRO. This blocker stops unwanted calls and SMS texts, and it is very easy to use. You can blacklist specific numbers by adding them to the app, or you can select the option to block all calls, calls from private numbers or unknown numbers. It is available for $1.99. Extreme Call Blocker offers the necessary features that will help you to prevent unwanted calls. It comes with an integrated FCC robocall and tele-market call report that automatically blocks numbers that are listed. There are different call blocking and message blocking modes available. You can also customize the blocking list or schedule blocking if needed. Extreme Call Blocker also provides security and it uses strong encryption to protect your data from third party sms apps. It is available in Google Play for $4.99. With Hiya, you can protect yourself from scammers and spam calls because this practical app automatically blocks this kind of calls. It is designed to allow Android and iPhone users to identify unknown numbers easily so that they can answer the phone without concerns or reject calls when needed. You will be able to avoid unwanted calls and enjoy a safer experience on your phone. Number Guru offers a practical way to find out who is calling you and to avoid answering calls from people or companies you don’t want to deal with. This caller ID and reverse phone solution is designed to help you to discover who is behind a call from a phone number that you don’t recognize. It is free, easy to use and provides information like location of the caller, spam scores and more. This app offers a comprehensive solution to deal with unwanted calls. It works as a call blocker that allows you to avoid spam calls and messages. You can also look for phone numbers on a database that includes local and international numbers. You can look for phone numbers of colleagues, friends or family as well. If you are not sure if you have the correct number, Real Caller can help you to double check. Whoscall is supported by a community of global users that update the phone book regularly with new entries. If you get a call from a number that you don’t know, you can search for the number on Whoscall and find out if it is worth picking up or if it is a spam call that you can block. CallerSmart is another practical option that allows you to research unknown phone numbers. It is a free app that can be used to look up phone numbers so that you can find out who is calling or texting you. With the help of CallerSmart, you will instantly discover if a call is worth answering, if you need to reply to a message or if you can simply ignore them. It also allows you to prevent unwanted callers from contacting you as you can block their calls and texts. With Call Bliss, you can ignore unwanted calls without missing calls that do matter to you. You can decide if a caller or a group of callers should be silenced, using just one tap. It is possible to organize the callers that need to be silenced by location choosing Work, Home or another other place. The app also lets you put unwanted callers in a blacklist to prevent them from contacting you. This free option lets you check phone numbers from around the world and it provides information like country, state, region and city. You just need to enter the phone number and Number Checker. All World will show you information about the number. Although the app can’t help you to identify the caller, it is a handy solution to find out where the call is coming from. It is also practical when you need to make international calls and want to find the code easily.